The first partnership in ESTHER Ireland is the Collaboration Programme between the Royal College of Surgeons Ireland (RCSI) and the College of Surgeons of East, Central and Southern Africa (COSECSA) which joined in December 2012. The RCSI-COSECSA collaboration is a well established partnership dedicated to surgical training. It develops common regional surgical training programmes in designated training institutions with a common examination and the award of surgical qualification that meets international standards and is regionally recognised. Fellowships are offered in seven specialities: General Surgery, Orthopaedics, Paediatrics, Urology, Neurosurgery, Plastic Surgery and ENT. There are 10 Member Countries: Ethiopia, Kenya, Malawi, Mozambique, Rwanda, Tanzania, Uganda, Zambia, Zimbabwe and Burundi. The RCSI-COSECSA Collaboration Programme was designed to advance COSECSA’s mandate and improve its current operating capacity. 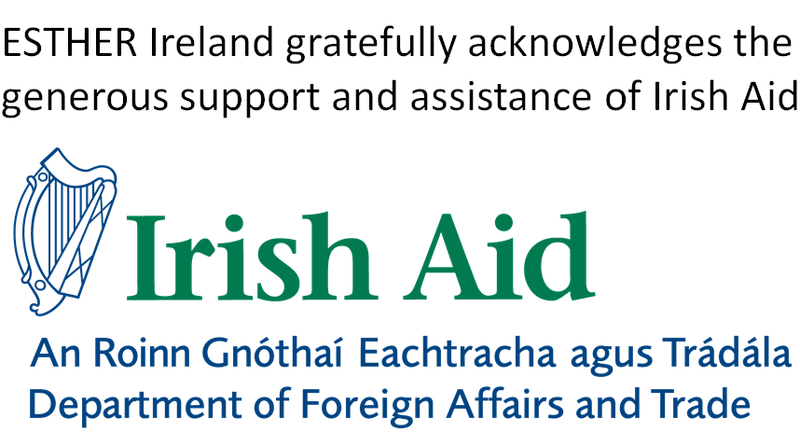 The Programme is supported by Irish Aid, with RCSI providing staff time and resources including curricula, education tools, skills training, examinations, accreditation and quality assurance processes. The Programme’s goal is to increase the provision of quality, essential surgical and emergency care in the COSECSA mandate region, particularly at district level. Objective 1: Establish adequate COSECSA administrative capacity to carry out all the functions of an international standard surgical training college and ensure COSECSA’s sustainability. Objective 2: Expand and enhance surgical training programmes for COSECSA MCS and FCS candidates. Objective 3: Expand and enhance basic surgical training programmes for non-surgeons. Objective 4: Enhance and quality assure COSECSA’s examinations processes. Objective 5: Cement COSECSA’s place as the hub of surgical training information and professional development in the ECSA region. Over 300 surgeons trained in 21 courses in 10 countries (as well as 15 Master Trainers). Increase in COSECSA’s capacity to train, conduct research and engage trainees and fellows. 27 surgeon basic scientists completed three-year training programme. 6 trainee basic science courses undertaken. 6 seminars held in orthopaedic surgery and general surgery. Non-physicians trained in basic surgical techniques in rural Zimbabwe, Rwanda and Zambia. Joint development and administration of an Africa-centric surgical e-learning platform SchoolForSurgeons. Launched with a mandatory online training programme. 26 ICT labs equipped and supported in 10 countries. Creation and distribution of 5 training DVDs. Provision of a mobile training unit which will work across the region. Exchange of examiners and external examiners. Benchmarking of COSECSA exams against RCSI exams. Collaboration on delivery of pre-exam seminar and MCQ writing seminar. Assisted in promotion of COSECSA regionally and internationally, development of website and print materials. Established COSECSA Secretariat in Tanzania, including full-time CEO. Supported recruitment and cost of staffing in COSECSA. Administrative collaboration and training; establishment of information management system (with details of almost every surgeon in the region); research. Substantial increase in COSECSA revenue, putting COSECSA on path towards financial sustainability.